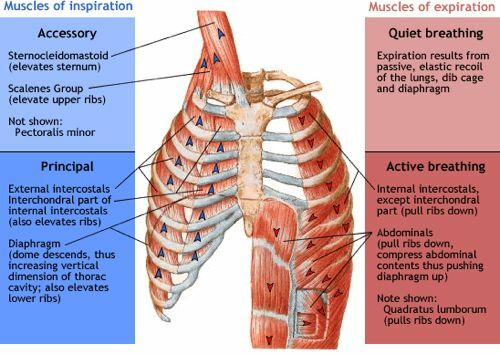 Respiratory Muscle Training (RMT) can be defined as a technique that aims to improve function of the respiratory muscles through specific exercises. It consists of a series of exercises, breathing and other, to increase strength and endurance of the respiratory muscles and therefore improve respiration. RMT is normally aimed at people who suffer from asthma, bronchitis, emphysema and COPD. However, many people adopt RMT as part of their sports training as this training is designed to strengthen the muscles used for breathing. Studies have shown that regular RMT can increase a person’s endurance during cardiovascular exercise or sports activities such as running and cycling. When a person is breathing normally, they typically use between 10 to 15 per cent of his or her total lung capacity. With RMT a person can typically increase the amount of lung capacity used. Deeper breathing uses a bit more energy but also allows more oxygen to enter the bloodstream with each breath while strengthening the breathing muscles. Strengthening inspiratory muscles by performing daily breathing exercises for at least six weeks significantly reduces the amount of oxygen these same breathing muscles require during exercise, resulting in more oxygen being available for other muscles. RMT may consist of inspiratory muscle training (IMT) or expiratory muscle training (EMT) or a combination of both. Respiratory muscles respond to training stimuli in the same manner as the skeletal muscles i.e. by undergoing adaptations to their structure and function that are specific to the training stimulus. structural adaptations - changes in muscle fibre type, fibre cross-sectional area (hypertrophy) and muscle thickness have been demonstrated. functional adaptations - improvements in strength, speed, power, endurance performance, peak inspiratory flow, maximal inspiratory and expiratory pressures have been demonstrated. There is evidence that RMT has many beneficial effects in healthy people and has been shown to improve athletic performance. Results of studies clearly indicate that IMT produces statistically significant improvements in performance but EMT does not. The range of pathological conditions in which RMT has been implemented ranges from the obvious (e.g. COPD) to the unexpected (e.g. Diabetes). The evidence for the use of RMT in these conditions varies widely from conditions where RMT is supported by systematic reviews and meta-analyses (e.g. COPD) to those where there is only theoretical rationale. There are three training principles that have been established for all skeletal muscles: overload, specificity and reversibility. These also apply to respiratory muscles. Specificity - the nature of the training response depends on the type of stimulus delivered. Muscles, including respiratory muscles, respond to strength training stimuli (high intensity, short duration) by improving strength and endurance training stimuli (low intensity, long duration) by improving endurance. endurance - endurance training can be achieved with low-load, high-frequency load. However it is possible to improve endurance through strength training. Stronger muscles perform any given task at a lower percentage of their maximum capacity than weak muscles do, strong muscles are therefore able to to sustain a given activity for longer periods. lung volume - respiratory muscle length is determined by lung volume, therefore IMT should be conducted over the greatest range of lung volume possible. Start as close as possible to residual volume (maximal exhalation) and end as close as possible to total lung capacity (maximal inhalation). detraining - respiratory muscles respond in a similar way to other muscles when training stimulus is removed. Most of the losses occur within 2-3 months of cessation of training. Endurance is lost before strength. Short periods of detraining (1-2 months) can be accommodated without too much regression of functional gains. maintenance - improvements in inspiratory muscle function can be sustained with training frequency reduced by as much as two thirds, or reduced to just twice a week. Training methods can be divided into two types: resistance training and endurance training. Resistance training - inspiratory pressure threshold loading (IPTL) is by far the most commonly used, researched and validated method of RMT. Users breathe via a device (such as the Powerbreathe) that contains a pressure loaded inspiratory valve and an unloaded expiratory flap valve. Endurance training - uses a technique called voluntary isocapnic hyperventilation (VIH) which requires people to maintain high levels of respiration for up to 40 mins. It utilises a hyperventilation method that employs a partial re-breathing circuit to prevent hypocapnia. Resistance training is described as the most versatile due to the fact that it is the least time consuming and it results in a dual conditioning response (strength and endurance improvements). Main classes of disease, or conditions, where research supports beneficial influence of IMT: respiratory, cardiac, neuromuscular, surgery, healthy ageing. Posture - has a role to play in obtaining optimal results, the ideal position for foundation training being seated or standing. Recumbent and semi-recumbent postures are known to impair respiratory muscle function and inspiratory muscle function is optimised in the upright position. Once foundation training is complete training in functional positions can commence. Optimising breathing technique - choose the right training device, optimise the training stimulus it generates, use a good breathing technique (i.e. diaphragmatic breathing), use a good breathing pattern. Diaphragm breathing - disease related changes to the mechanics of breathing can lead to a reduction in diaphragm mobility. This, as well as exercise tolerance and breathing pattern, can be improved with a diaphragm breathing training program. Relearning normal efficient breathing strategies underpins Foundation IMT. Breathing pattern - breathing movements should take place over the largest range possible and maximise recruitment of the inspiratory musculature. Secretions - repeated deep inhalations against an inspiratory load have been found to have be twice as effective as standardised physiotherapy consisting of postural drainage and active cycle of breathing technique. Individuals, particularly patients with conditions such as bronchiectasis and bronchitis, may experience loosening of secretions following IMT. Accordingly people need to be warned of this and advised on appropriate secretion clearance techniques. Inspiratory muscle function - ensure that the training regime is stimulating adaptation in inspiratory musculature and that improvements in function are are accommodated by increasing training intensity. Clinical outcomes that result from the former. Maximal respiratory pressures (MIP) - provides a surrogate measure of strength and is the most widely used measure of IMT-induced changes in inspiratory muscle function. Measured using clinical apparatus against an occluded airway at prescribed lung volume. Sniff inspiratory pressure - an alternative to MIP which measures pressure in the nostril during a maximal sniff. Peak inspiratory flow rate - has been shown to improve in response to moderate IMT training. Requires a mechanical peak inspiratory flow meter. Inspiratory muscle endurance - there is no standard test for this however the tests fall into two categories: hyperpnoea tests and inspiratory loaded breathing tests. The evaluation of clinical benefits will enormously vary between patient populations. The outcome measures selected need to be specific for the clinical population being addressed whilst also being sensitive to the effects of IMT. IMT starts with Foundation training. Foundation training is underpinned by diaphragmatic breathing and good breathing pattern. It takes place for 6 weeks prior to moving on to functional training. use a training load of 50-60%of MIP or set intensity to a 30 repetition maximum(30RM), i.e. repetition failure occurs at 30 breaths, using a process of trial and error (repetition failure of the inspiratory muscles is an inability to achieve a satisfying breath). use stretching and warm up to prepare for IMT. inhale against load with maximum effort (as fast as possible). breathe in and out as far as possible during each breath. train twice per day - morning and evening not less than 6 hours apart. increase the training load at least once per week. progress the training by maintaining it at 50-60% of the new MIP or keeping the load at the new 30RM to account for improvement. train to failure in a window between 25-35 breaths per session. keep in mind that time of day, other activities and health status may affect IMT because of residual fatigue. if you suspect that there is residual fatigue of the inspiratory muscles, take a day off. Progression - functional training can be initiated after 6 weeks of Foundation IMT. It should be undertaken at least 3 days per week and always in tandem with Foundation training which should be undertaken at least 3 days per week. 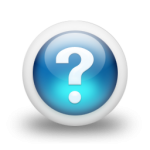 Maintenance - maintenance training can be initiated after 12 weeks of IMT. Reduce frequency to once every other day. Pre-habilitation - implementing IMT prior to whole-body training has been shown to commences has been shown to improve the outcome of the while-body training and can therefore be considered as effective re-habilitation. Incorporating into rehabilitation - can be done prior to, during or after a rehabilitation session. Warm up - 2 sets of 30 breaths at 40% MIP with 1 minute of rest between completed no more than 10 minutes before IMT training. Cool down - aids the clearing of metabolites to help with recovery and adaptation. Stretching - thoracic stretching will reduce any musculoskeletal resistance to inhalation and can result in improvements in chest wall expansion and functional residual capacity therefore increasing the effectiveness of RMT. The role of the respiratory muscles extends beyond their role in driving respiration. They are also a vital component of our postural control and core stabilisation. This non-respiratory function is pivotal to performance and injury prevention. The non-respiratory roles of the respiratory muscles are often brought into conflict with their role in breathing. The external manifestation of this conflict is dyspnoea that is disproportionate to to the ventilatory demand of activity. It can also compromise the effectiveness with which the respiratory muscles contribute to their non-respiratory core-stabilising functions. The objective, therefore, of functional training is to also enhance the core stabilisation role of the respiratory muscles. In this way the respiratory function of the respiratory muscles can be optimised to improve core stability. This is achieved by performing IMT in positions that challenge core stability. create a bespoke set of exercises specific for the individual e.g. tasks that are particularly challenging for a patient, sporting positions or actions used by an athlete. Should be preceded by a 6 week period of Foundation IMT and development of good diaphragmatic breathing technique. Ensure the individual has good technique and exercise form before adding any resistance. Start by performing each exercise with nothing more than a focus on maintaining, slow, deep diaphragmatic breathing throughout.next add an external resistance to to inhalation using an inspiratory muscle training device (IMTD) set on it's minimum load. Gradually increase load on the IMT Dover a period of a few weeks. Workouts should be preceded by stretching and mobilising exercises. An individual workout should consist of around 10 exercises. Exercises should be performed at least 3 times per week. On other days Foundation IMT should take place. ↑ 2.0 2.1 2.2 2.3 2.4 McConnell, A. Functional benefits of respiratory muscle training. Chapter 4 in: Respiratory Muscle Training: Theory and Practice. Elsevier, 2013. ↑ Illi SK, Held U, Frank I, Spengler CM. Effect of respiratory muscle training on exercise performance in healthy individuals: a systematic review and meta-analysis. Sports Med. 2012 Aug 1;42(8):707-24. ↑ 4.0 4.1 4.2 McConnell, A. Implementing respiratory muscle training. Chapter 6 in: Respiratory Muscle Training: Theory and Practice. Elsevier, 2013. ↑ McConnell, A. Methods of respiratory muscle training. Chapter 5 in: Respiratory Muscle Training: Theory and Practice. Elsevier, 2013.